With air pollution in Chengdu reaching hazardous levels, it has become harder to look at the hazy skyline and ignore the resemblance to a post-apocalyptic dystopia. The absence of direct sunlight makes the knowledge that we are slowly poisoning ourselves by living here even more discouraging. Confronted by a problem so large, it is easy to succumb to a certain nihilistic apathy. It numbs the panicked helpless feeling that comes from the realization that your pulmonary health is out of control. It also turns despair into style. Rather than wallowing in self-pity, it allows us to affect a fashionable disregard for our own mortality. Laughing at death is eternally hip. But beneath our willful denials of the problem lies a human instinct for self-preservation, confounded by our inability to act upon it. Even many battle-hardened China hands, after extracting a particularly sooty booger, have investigated the possibility of purchasing an air purifier, confronted the price tag, and found themselves asking, “how much is my health worth to me?” It is a vexing dilemma – many people cannot afford purifiers, and those that can rarely understand what they are getting in return for the money they spend. 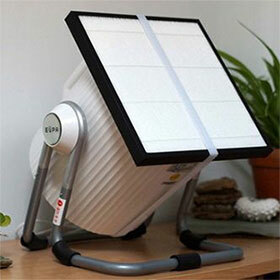 But intractable problems produce inspiring solutions, and the China pollution problem has spawned SmartAirFilters.com, a Beijing-based operation founded by American Fulbright scholar-turned-filter-evangelist Thomas Talhelm, that sells DIY air filters for the altruistically low price of 200 rmb (approximately USD $30). 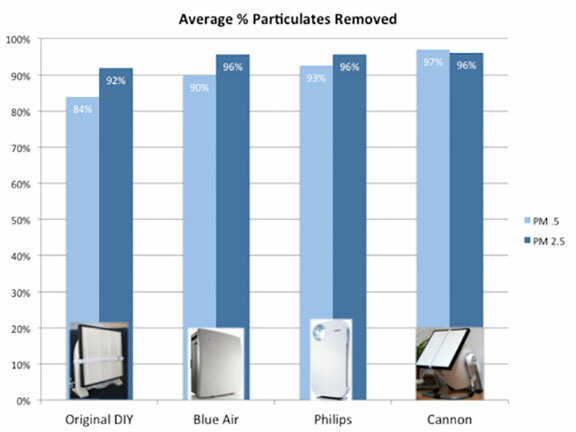 According to Talhelm’s home research, which he lays out in convincing detail on his Particle Counting blog, his DIY filter, comprised of nothing more than a HEPA filter strapped to a house fan, is as effective at reducing indoor PM 2.5 and PM .5 levels as expensive brand name filters like Blue Air and IQ Air. Talhelm’s findings appear credible, not only because he makes his data open to the public – candidly describing the methodology and clearly graphing the results – but also because his experimentation seems motivated by scientific curiosity, rather than financial gain. The site invites readers to make their own DIY filters, and Smart Air’s Beijing team (of Anna Guo, Gus Tate, and Ted Patterson) host workshops teaching people how filters work and how to make their own. The site steers away from dramatic claims, but the effect of the data it presents is to politely deconstruct the mythology of retail air purifiers. It exposes an unsettling truth: when we buy an air purifier, we are not just buying a piece of hardware, we are also buying a fantasy. And that fantasy can be quite expensive. As someone who bought an expensive air purifier last year, I can attest to the susceptibility of consumers to their marketing magic. The air purifier I bought, a Cado AP-C100, is a sleek cylinder topped with a beveled rim and a honeycomb grating, underneath which glows a blue light. Its appearance is reassuringly high tech, but fundamentally it is a fan and a filter – the futuristic plastic shell and glossy brochure that came with it are just accouterments. This month I bought a Smart Air Filter, and whenever I see it, chugging away like a scrappy underdog, it makes me smile. It feels good to improve the ecology of your home, and even better to do so by circumventing an expensive monopoly on access to clean air. But perhaps the most important lesson of the DIY filter movement is one of empowerment. It reminds us that regular people can address complex problems with a scientific approach, and that is an uplifting current. Chengdu Living: Your Particle Counting blog dates back 5 months or so. When did you first have the idea to strap a HEPA filter to a fan? Was it a ‘eureka’ moment, or an idea that fermented for a while? Thomas Talhelm: I always wore masks when I biked outside, but I had never really worried about the air in my home until Beijing’s airpocalypse last year. My first worry was whether air purifiers could actually get the small particles from industrial air pollution. The problem is that a lot of the good objective Western tests focus on “first world” problems—allergies and pet dander, rather than industrial air pollution. Then I saw the tests of Dr. Saint Cyr on his Myhealthbeijing blog. His tests with a particle counter convinced me that air purifiers can get rid of the really small particles. So I set out to buy the model he tested, and I found out it cost 16,000 RMB! So I started to research how air filters work, and I found that HEPA filters get 99% of particles .3 microns and above (they get smaller particles too). 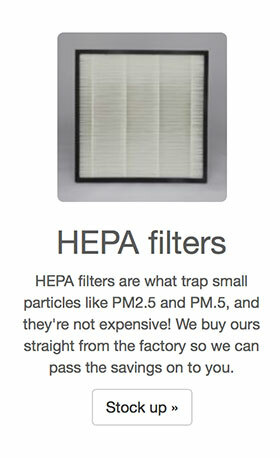 I had heard of HEPA filters before. They’re not some proprietary, crazy expensive technology. If you have a vacuum cleaner at home, it probably has a HEPA in it. I found a HEPA manufacturer, ordered a HEPA, and strapped it to a fan. Within a few weeks, the HEPA was black. But “it turned black” is not very scientific. It demonstrates that the filter is getting something, but I wanted to know if it was getting the really small particles, so I bought a particle counter and started doing tests. CL: What is your opinion about the air filter industry at large? Is it predominately comprised of companies trying to trick people, or is it mostly well intentioned? TT: First: all of the air purifiers I’ve tested work well, so they’re safe on that claim (but avoid ozone filters and UV light filters). That said, I think the profit margins are outrageous, and they’re preventing people from protecting their health, and I don’t like that. But I actually don’t think it’s just greedy companies to blame. I think there’s a psychological explanation at play. Unless we buy a particle counter, we have no way of assessing whether air purifiers actually work. And when we can’t assess the value of a product even after we use it, we’re likely to rely on the price to judge the quality. “If it’s more expensive, it must be better.” We see this all the time with wine, which is another product that many of us feel like we lack the expertise to judge. So my whole goal with Smart Air is to erase that knowledge gap. Instead of asking people to just trust me, I publish all of my data and methods. That way, people can see the data and judge for themselves. I think that if people see the data, they’ll get the knowledge to protect themselves against the really high prices. CL: Your website presents information on a complicated subject very clearly. What are the guiding principles behind the way you document your research publicly? I say quite clearly on the website that I’m not an expert in air pollution. People like Vance Wagner and Louie Cheng know a lot more than I do, and they’ve been gracious in teaching me. But my philosophy is to post my data and methods openly so that everyone can see how I reach my conclusions and judge for themselves. I also have to credit my collaborator Gus Tate with the sleek design of the website, which makes my nerdery more accessible. CL: Your project is refreshingly egalitarian. Do you think about air quality as a class issue? I’ve never considered myself strongly moral. I’m not religious. But I hate it when people rip other people off. If I can help stop some of that I’d be happy. And now when I see pregnant women on the street not wearing masks, I feel the urge to give them a mask and send them an air purifier. A study in Chongqing showed that pregnant women exposed to coal-fired power plant pollution gave birth to babies with smaller heads and slower cognitive development. It shouldn’t cost 16,000 RMB to give birth to a child without cognitive delays. CL: With your low selling prices, your margin must not be very wide. Your site alludes to the fact that the operation is not a cash cow. How do you find the time and energy to keep it running? Right on. It’s been a few months, and I still have yet to put a dime in my pocket. In fact, I’m several thousand dollars in the whole to cover the cost of all those filters. I’m still a PhD student, so I rely a lot on my collaborators Gus Tate and Anna Guo. We also hired our first full-time employee, and we’ve gotten lots of help from Ted Patterson, who’s been volunteering for us. CL: What are your ambitions for expanding? Have you considered teaming up with NGOs or philanthropic outlets? We’ve already gotten lots of help from environmental groups. The Beijing Energy Network helped host the original filter workshops. Carissa Welton from Greening the Beige helped get the word out too. CL: I have heard there are other Chinese sites that have been emulating your approach. Does that bug you at all, or are you happy to see it spreading virally? I have seen Chinese websites that have translated the DIY guide and linked to Particle Counting, and I’m happy to see that. I’ve been slow to get the word out in the Chinese language—not because I don’t want to, but because it’s quicker for me to write in English! And if other people are copying the idea, I think that’s fine. I don’t need to make money off of this. If that were my main goal, I wouldn’t have put the instructions about how to do it on the site. CL: The idea that an expensive retail filter and a homemade filter provide roughly equivalent performance could have potentially serious commercial ramifications. Has anyone from the air filter industry approached you, challenged you, or tried to buy your silence? No, my guess is that they think it’s better to not honor us by giving us attention, and I think that’s correct. A Blue Air employee was pretty hostile in a post on Zhihu (a Chinese Quora site), but I think that was his own prerogative. On a lighter note, now that I write so much about filters, my internet browser is convinced I want to buy an IQ Air. I get IQ Air ads all the time. CL: I understand that you came to China on your Fulbright scholarship. Are you intending to return to the University of Virginia to finish your PhD in the near future, or might this project keep you in China longer? Yup! I’m at UVa right now, and I’m finishing up my comprehensive exams. I love research and psychology, so that’s still my career plan. CL: It looks like your project has been gathering steam. If you were to analyze its growth with your data-infused approach, what metric or data point would be the most telling? My favorite datapoint is the first week we put the site online. Gus and I had worked a lot on the site for weeks, so I was really excited to click publish, see the site go live, and watch the orders roll in. I had to fight the temptation to ask Gus everyday, “How many orders do we have?” At the end of the first week, we had sold…three. But of course these things take time. By December, we were so overwhelmed with orders, we had to hire our first full-time shipping manager. And that was just in time for Shanghai’s airpocalypse. In three days, we saw our orders double, double again, and double again. It completely overwhelmed us (and according to a newspaper article I saw, it overwhelmed Blue Air too). CL: If people want to help out, what can they do? I have to say, it’s been a lot of work to put this all together, and I’m still a poor PhD student, but it makes me really happy when people offer to help. Just the other day, a woman emailed me and said, “I’m a stay-at-home mom, so if you need any help with marketing, just let me know.” How awesome is that!? Right now, I think we have two big needs. First, I want to organize workshops in cities besides Beijing and Shanghai, but I need help from people in those cities to find a good location and to get the word out. We have to order all the filters and fans in advance, so we need to make sure enough people will show up! I’d also love to work with Chinese organizations to do more Chinese-language workshops. Second, I’d love to get the ear of anyone who has experience with law or business/manufacturing consulting. We could use the expertise, but we don’t have a McKinsey-size budget (nor do I want to bake their fees into the price of our filters). Are you tired of sooty boogers? Do you need a Smart Air Filter? 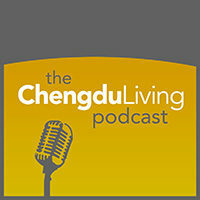 Would you attend a workshop in Chengdu? Let us know in the comments below. I have a Honeywell air circulation system in my compound right. But all it does is pump in air from the outside to the crib. Not really what it is. So Bean bought a bunch of filters on taobao and now we put them over the openings of the circulation system. Voila, instant crib-wide filter system. How long before the filters turn black? I have a Philipps air filter in my bedroom which is on 24/7 and I change the filter about every 60 days. Nothing in my living room but I leave the door open and try to get the whole place covered. What I really need to do is just buy one of these and put it under a desk in my living room. Honestly, considering the filter I bought a year ago cost almost 1,000 rmb and Smart Air makes filters at 200rmb which achieve the same thing, I see no point in paying more unless you want the filter to be a display piece. Replacement filters are also about 1/3 of what I’ve been paying. What’s really amazing to me about this is how it’s not a profit-motivated venture. Major props to Thomas and his team in Beijing for undertaking such an altruistic mission which has such wide-reaching potential. I’m glad that you asked about air quality as a class issue because it often very much appears that way in China. One final question – is there any way to order these on Taobao as opposed to Paypal? I tested one of these in my office, and a Phillips one in my apartment. The problem with the Smart Air one is that the filter gets dirty real fast. The Phillips one has a secondary filter that filters out the big particles and has to be rinsed every couple days. Plus, the Phillips one also has an air quality detector, seems to pump the air through a lot faster and looks better. Overall, I like the Phillips one. However, mind you, the Phillips one is considerably more expensive. It was about 2,000 Renminbi. From a marketing point-of-view, it should still be possible to create a prettier Smart Air with a washable secondary filter and sell lots of them, at a profit. If it was profitable, the founders would have more resources to further improve their filter. I have noticed the same thing as you with Smart Air filters – they get very dirty very quickly. Im not sure if it should be reassuring or unsettling. Do you have the pre-filter on yours? I think that sheet is supposed to catch some of the bigger particles so that the hepa does not get gunked up so quickly. I think you might be right about improving the pre-filter, so that the lifespan of the hepas is longer. I also wish there was clear guidelines about how often the Hepas should be changed. We don’t have a pre-filter on the Smart Air filter. I believe it is included with the bigger one, but not the smaller one. Also they sell it separately for 10 kuai. I don’t think that it is washable, but Im not sure. It is supposed to catch the larger particles. It is talked about in Talhelm’s blog: http://particlecounting.tumblr.com/, which is a pretty cool site. Your friend sells them? Out of curiosity, is it one of the expensive well-known models mentioned in this interview? Huge business in China though, which is why selling these at 200rmb is so amazing. I crossed paths with the Belgian ambassador a couple weeks ago and he had heard of smart air filters… so word is definitely spreading. Hey, this is Thomas. Lots of good thoughts and questions here! My collaborator Gus is about two months into a test of filter lifespan by tracking the effectiveness over time. At the end of that, I’ll post the results so we can know exactly how effectiveness changes over time. My best guess is about 2-3 months. I ship the Cannon with a pre-filter, but I’m hesitant to add a pre-filter to the Original because I’m worried about cutting down on the air flow. However, I have heard from people who’ve added a pre-filter, so it can definitely be done. Also, I’m working on designing a manufactured product with a more powerful, quieter fan, so hopefully that’ll take care of all these problems while still being affordable. Hey I haven’t read this yet but first reactions are the dials at the bottom of the filter look like stewie griffin. This is such a beautiful thing in several different ways. Much props to this grassroots movement that benefits so many people. Do they have a Tabao/Tmall store? Nice – this is what I was waiting for. Ordering a “Cannon” filter this week. Now I just have to figure out how to control it remotely so that I can turn the filter on using my smartphone an hour before I return home. Great idea! The simplest way would be to set it on a timer (if you keep somewhat regular hours). We’re working on developing a base model for manufacturing that we’re trying to keep simple, but we’ll look to add more advance features like scheduling on future models! That is an awesome idea. I just looked into it, and naturally, the internet has an answer. What you need is a smart power strip, which allows you to turn the plug on and off through a smartphone app. It was funded through Kickstarter late last year: https://www.kickstarter.com/projects/337922278/smart-power-strip-control-your-appliances-from-any and is getting ready to ship its first orders as april/may this year. You can order them here: http://www.rogeryiu.com/ Lets buy some. Great. Let’s do it. I found a similar Belkin unit (link) which is available on taobao (link) but seems to be much less fully-featured than the Kickstarter you linked to. please order me one too! i actually thought there would be a link here to order. You can order them through their website, but I can get one for you. Do you want the standard one or the “Cannon”? What happens at these workshops? I’d be interested. We talk about pollution, masks, and what the data says about them. Then participants make their own DIY filter, and we test it on the spot with a particle counter. Then they take their new filter home! The Smart Air guys are hosting a DIY workshop at the bookworm next Sunday May 11th, from 4:00-5:30. You should come through and check it out. Handy for people who still haven’t figured out how to use taobao, and you can use foreign bank cards to pay! That looks great, much lower cost than the alternatives I’ve seen. I’m trying to figure out how this actually works, though – it works through wifi but I can’t tell if it’s through the browser or an app, etc. It works through an app for iOS or android, in chinese but very straightforward to install. I just got mine and it controls the cannon like a champ. We will be hosting our first-ever workshop in Chengdu on Sunday, May 11th! Host: Bookworm, 4pm. I ordered a wifi-enabled smart plug like the one Mark mentioned last week and it arrived a few days ago. Setup took about 5 minutes (you connect to it from a laptop using wifi and then select your home wifi network and enter the password if you have one). Once it’s connected, you download their iPhone app, which is in Chinese, and you can use it to turn the outlet on or off via wifi or 3G. It works perfectly and there isn’t much more to it, although it has scheduling features which I haven’t used. What I’ve been doing this week is turning the filter on an hour before I return home. It comes nowhere close to the high-end Dylos detectors that Smart Air uses, but for 200 rmb I’m willing to give it a shot and see how it works. Overall though, really enjoying the Smart Air filter. Anyone in Chengdu who has interest in getting one will have the perfect opportunity this Sunday at Bookworm. I tip my cap to you for making this lifehack a reality. I need to get a bunch of those plugs. And I like the idea of getting the air detector also. yes i would go to the workshop! sweet, they have one this sunday! what time is it at? Congratulations to Thomas! Take a look and let us know what you think of the ideas put forth in the paper! Congrats on getting this published! This part makes a lot of sense: Talhelm thinks these differences arose because it takes much more cooperation and overall effort to grow rice than wheat. To successfully plant and harvest rice, farmers must work together to build complex irrigation systems and set up labor exchanges. Over time, this need for teamwork fosters an interdependent and collectivist psychology. Wheat, however, can be grown independently, so wheat farmers become more individualistic. It seems that the actual study is behind a paywall on Science. Is there any way to get that? All of this info is just great! Just moved back to Sichuan with my baby and it’s a concern of mine. We are ordering ours today…THANKS!!! p.s. love this website, great info!! Deos the price for the workshop include the DIY Air filter? I wanted to attend, but would rather buy an air filter. However, if the air filter and fan are included in the price, I will register and attend the workshop next week in Guangzhou. Yes, the price for the workshop includes the air filter. I can definitely recommend the workshop, you pay the same amount that you would for the filter itself and you can learn a lot about its construction and function. The price does include a purifier! I’d recommend going to (but I’m biased of course). You’ll get lots of info on how to protect yourself, whether masks work, and how long the filters last. You can also do a live test with our particle counter to test the HEPA. Very fun, and I don’t know when we’ll get down to Guangzhou next! 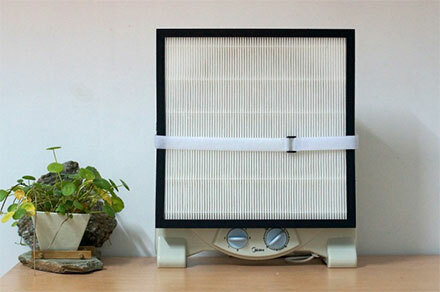 With air filter, you can easily clean dust from air. It has very good impact on health and help in preventing asthma and allergy problems. Understand the smart filter concept to remove the particulate count but if you do the research the true nasties are in the gas composition of the air. The particulates are only half the challenge. How do we scrub the NOx,SOx and CO from the air? My daughter has been diagnosed w respiratory acidosis and a HEPA filter won’t make the air any ‘healthier’? 1. I’m actually more concerned about particulate in my home than gas pollution. I’ve done tests with a six-gas detector, and I only found concerning levels of VOCs, NO2, and CO in places burning coal, smoking, or with remodeling smells. In fact, I found ZERO levels in the majority of apartments I tested. Compare that to my tests of particulate in homes around Beijing. I consistently find high particle counts in apartments. Thus, I’m more concerned about particulate pollution than gases in homes. 2. What to do about gas pollutants? Thank you for attending to this thread so dutifully, and continue to furnish us with useful knowledge. I just arrived in Chengdu today and my Chinese language skills are nonexistent yet. I have serious allergies so my first day Im realizing I need one of these. Where can I buy a smart air in Chengdu? (I don’t yet have a place to have one mailed from the internet). Welcome to Chengdu! We had talked to Natooke Chengdu (http://www.natooke.com/about/natooke-chengdu/) about stocking them in their store, but I don’t think we completed that. Perhaps you could get it shipped to a friend’s place? Hey Rocky, this is Thomas. Glad you’re getting clean air! 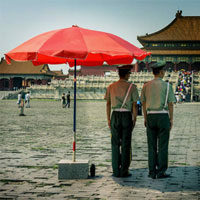 We don’t have any workshops coming up in Chengdu, although I am definitely interested in getting another one organized. Maybe we should do a “get ready for winter” workshop at the Bookworm there. Very useful information! But I have a question: Deos the price for the workshop include the DIY Air filter? Thank you for letting us know! That is a ton to pay on a filter. Why pay so much?